If you are serious about genealogy, then you will want to display your research in the best way possible. WorldAncestors offer you your own internet platform powered by TNG - The Next Generation of Genealogy Sitebuilding, the most powerful and flexible online software available. We also offer beautifully designed and printed family history books so you can share your findings with all the family. So give your ancestors a good home. After all they have given you, they deserve it. 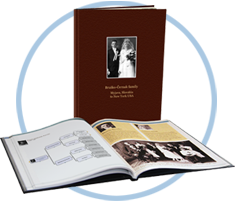 Have your family history research made into a beautifully designed and printed book that you can share with all your family and friends. An ideal special gift that will be looked at for years to come. 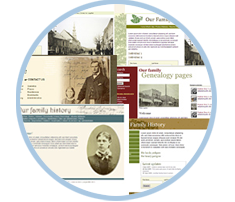 Your own personal family history website powered by TNG - the most powerful and flexible family history software available, with exclusive new design templates not available anywhere else. 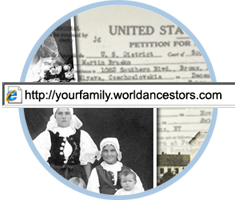 Access all the features of your own family history website during the trial period. This offer has been extended and will end on 31 December 2015. Let us do the research! An Australian sea Captain, a French artist's family and the Slovak ancestors of several Americans are some of the latest requests that we've had for research. Each one is a fascinating story that spans local and world events. Let us do the research for you, it's not as expensive as you might think and you might discover something you weren't expecting! Get in touch by using the contact us form.